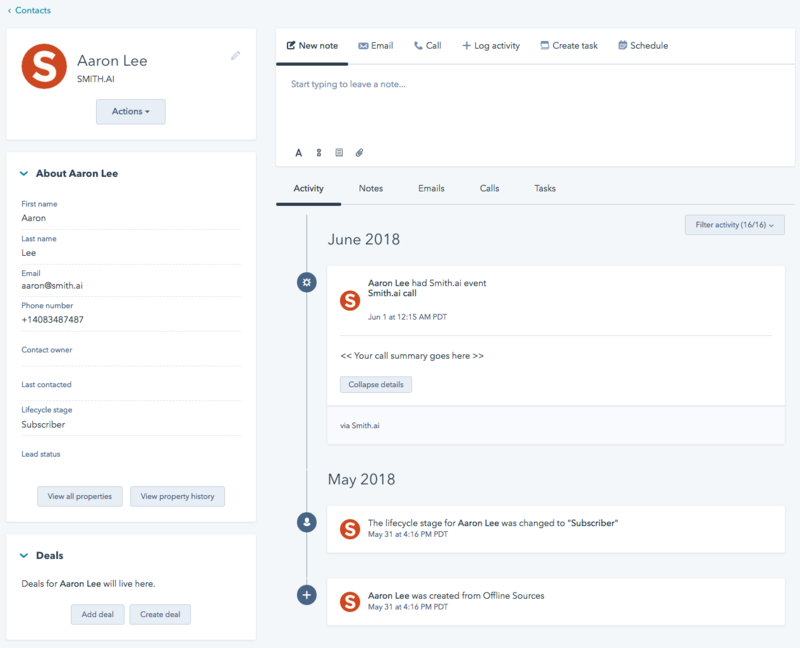 Thanks to HubSpot's open API, Smith.ai receptionists can make data management and client follow-up even easier for you with streamlined workflows between your callers and your HubSpot account. Request your unique Hubspot-Smith.ai "app approval URL" by emailing support@smith.ai. Once you receive the URL (typically in less than 24 hours), log in to your Hubspot account, and then open the URL. Approve the Smith app when prompted. Reply to the original email you sent to support@smith.ai to confirm you have accepted the app, and send us any HubSpot-specific call handling requests. That's it! You'll now see HubSpot contacts added and updated by your receptionists after each call. 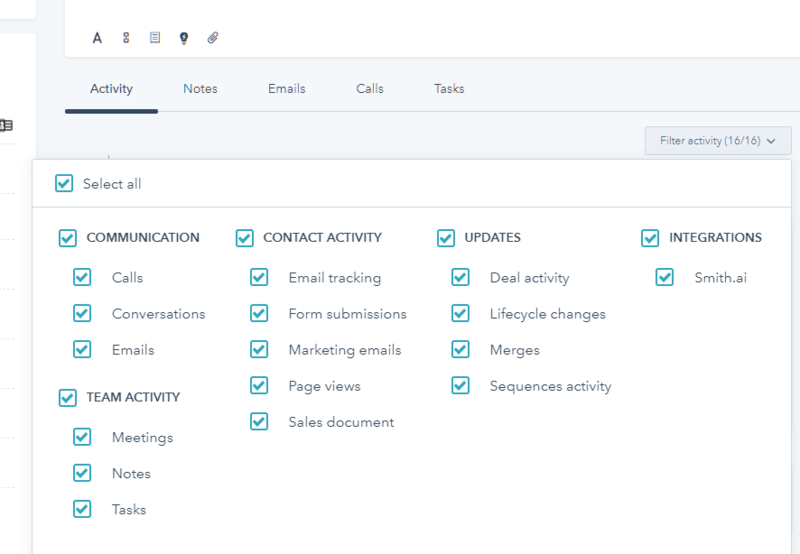 Note: Once your HubSpot account is connected to Smith.ai, to view Smith.ai call activity, please be sure to select the box for "Smith.ai" under "Integrations" in your Activity Filter. To access this menu, just click on "Filter activity." Also, note: CRM integration is an optional add-on service and will incur an extra fee. View current pricing for this and all other add-on services. Not sure how you can best leverage the HubSpot integration with your Smith.ai receptionists? We're happy to discuss implementation options and best practices. Please reach Smith.ai Support Monday through Friday, 5am – 6pm PT / 8am – 9pm ET via phone at (650) 727-6484 and via email at support@smith.ai.